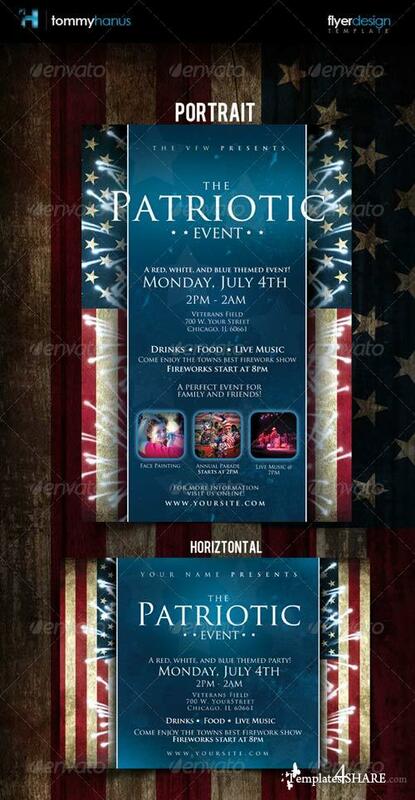 This flyer is perfect for any party that is holding a 4th of July event. The colors just pop when this flyer is printed and your client will be shocked with awe when they see this flyer. 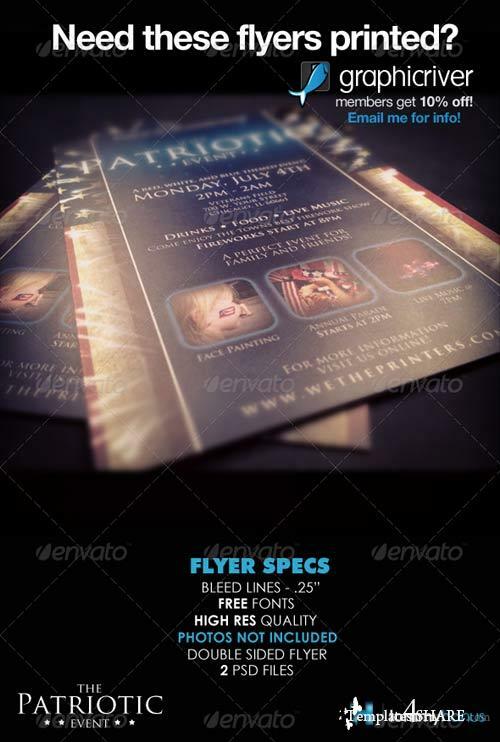 You can add your own images at the bottom of the flyer with a simple clipping mask.